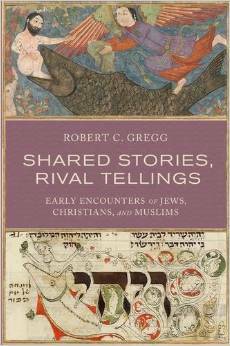 Author Robert C. Gregg shows how Jewish, Christian, and Muslim interpreters—artists as well as authors—developed their unique and particular understandings of narratives present in the two Bibles and the Qur’an. Gregg focuses on five stories : Cain and Abel, Sarah and Hagar, Joseph and Potiphar’s Wife, Jonah and the Whale, and Mary the Mother of Jesus. As he guides us through the often intentional variations introduced into these shared stories, Gregg exposes major issues under contention and the social-intellectual forces that contributed to spirited, and sometimes combative, exchanges between Jews, Christians, and Muslims. Offering deeper insight into these historical moments and their implications for contemporary relations between the three religions, Shared Stories, Rival Tellings will inspire readers to consider—and reconsider—the dynamics of traditional and current social-religious competition. Chapter 3 : Muslims on "...the story of the two sons of Adam"
Preview : Chapters 10-12 "The one of the fish"
Chapter 11 : Jonah and Jesus : In One Story, Two. Chapter 15 : Islam’s Maryam : "chosen...above the women of the worlds"